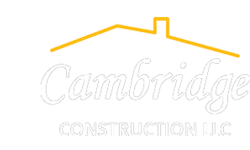 Cambridge Construction LLC has earned the reputation of being Southeast Florida’s premiere commercial and residential remodeler by providing reliable, affordable, quality work on every project they undertake. Family owned and operated with over 20 years of experience, owner Chris Bertolami, a third generation builder, offers hands-on personalized customer service. Our goal is to complete your project on time and on budget !